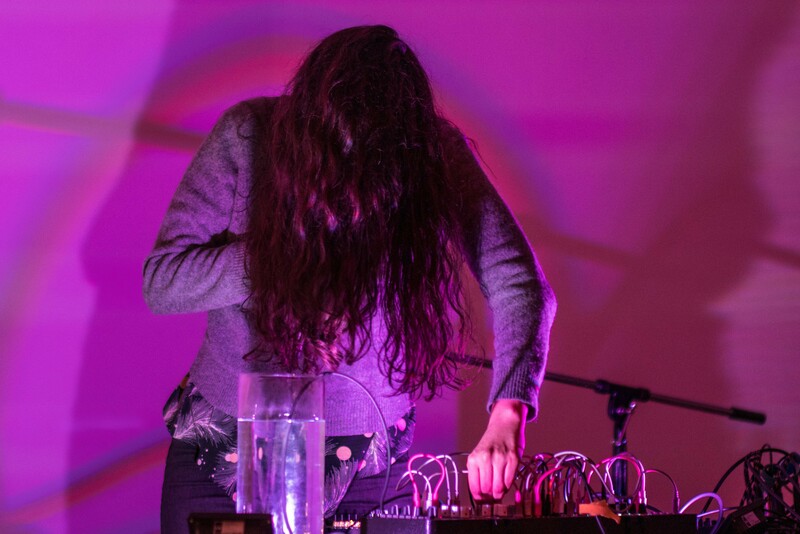 Danishta Rivero is a musician and sound artist based in Oakland. She is a vocalist who performs on electronics and the Hydrophonium, a water-based electro-acoustic percussion instrument she created. Rivero performs solo as well as with her electro-acoustic duo Voicehandler with percussionist Jacob Felix Heule. She is also half of Las Sucias, a feminist noise reggeatón duo with Alexandra Buschman. Previous projects include Blood Wedding, a just intonation noise duo with Chuck Johnson. and truth, and not from danishta rivero on Vimeo.